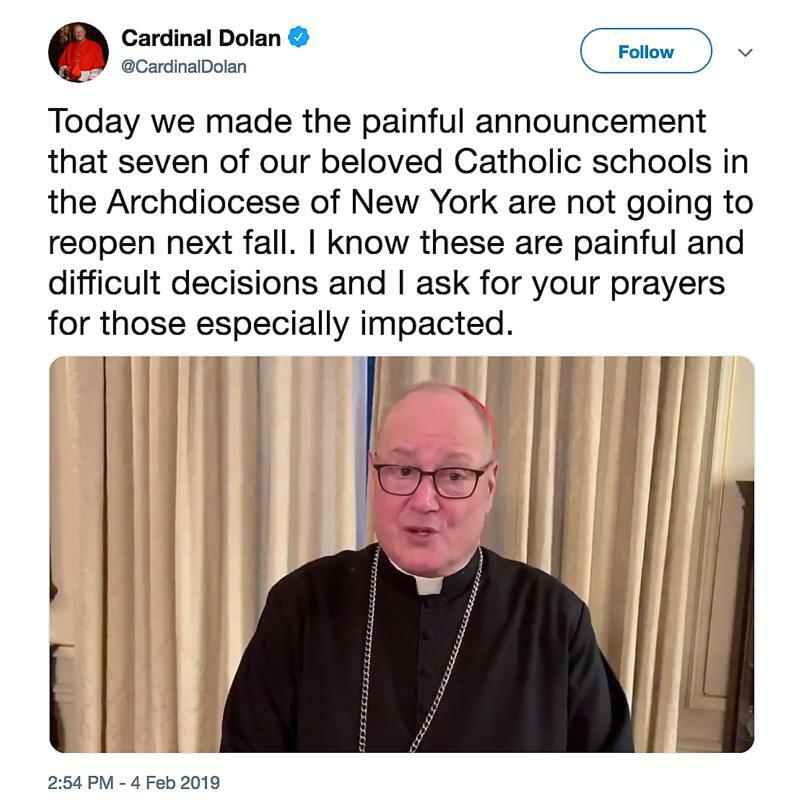 “Today we made the painful announcement that seven of our beloved Catholic schools in the Archdiocese of New York are not going to reopen next fall. . . . These are painful and difficult decisions and I ask for your prayers for those especially impacted,” in text accompanying the video. But he noted a silver lining in the situation. In particularly, he mentioned that all “the kids in the schools that are closing are going to be able to go to another Catholic school nearby, all but one.” Those kids would be welcomed “immediately [and] enthusiastically” to their new learning environments, he said. Zwilling told CNS that the cardinal was referring to “the fact that in New York, any efforts to have the government provide for Catholic or other religious schools have all failed in [the] state Legislature.” Among these efforts was a push to institute a tax credit that would have lifted a portion of the tuition burden off the shoulders of low- to middle-income parents who chose private schools for their children. Called the Education Investment Tax Credit when it was proposed in 2016, the bill would have given half of the money the bill reserved for credits to those who had donated money to private school scholarship programs. He said Catholic schools in New York educate children for “about half” of what area public schools spend in the area do.